The Symposium explored how citizens and governments can creatively work together and apply co-operative principles and ideals to participate successfully in the regeneration of urban settlements and rise to the challenge of creating communities in cities of the future that are socially, economically and environmentally sustainable. 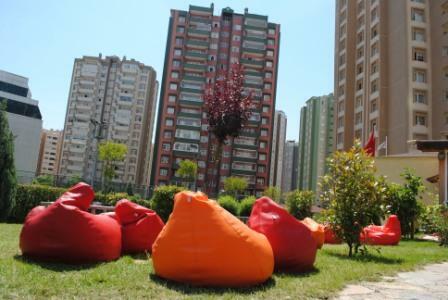 As an introduction to the housing co-operative sector in Turkey, delegates at the Istanbul Symposium were given the opportunity to visit one of Türkkent’s member co-ops, the Yeşilkent Mass Housing Project in the Gürpınar, Büyükçekmece District of İstanbul. Completed in 2002, the scheme is a triumph of partnership working as 35 housing co-operatives under the Union of Yesilkent Housing Co-operatives manage 3,200 homes in 45 colourful tower blocks. 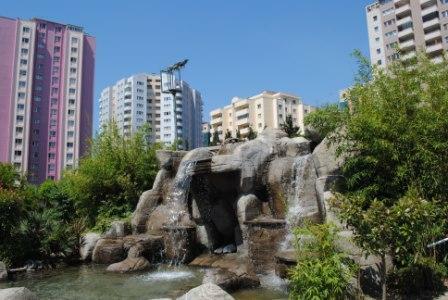 At the Yesilkent Mass Housing Project, the tower blocks are based within a gated compound around a centre comprising a pretty waterfall, children’s beach playground, local café and small shops. 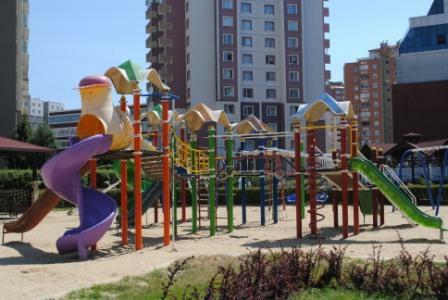 Kenan Yazici, manager, explained that the project, which was founded in 1991, started by making applications tovarious municipalities and government agencies for land.In 1993, 200 hectares of land were assigned to them by Gürpınar Municipality. Construction started in 1997. Kenan explained that the large Marmara earth-quake in 1999 was a worrying time but, thankfully, the only damage was to the capillary walls on the ground floors of the buildings. After the earthquake, all the buildings were examined by İstanbul Technical University Housing and Earthquake Application and Research Center, which determined that “the buildings were free of damage and had the same security before the earth-quake”. This was due to the fact that the materials and labour used for the project, and for the infrastructure works, was carried out to the highest standard, which unfortunately is not predominant in other construction around the city. The green areas are regularly irrigated and the trees and landscape areas well maintained. It is of note that, in comparison to other areas in İstanbul, the green area ratio of Yeşilkent is much higher. 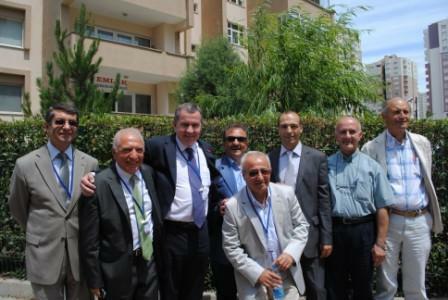 ICA Housing board would like to thank members of the co-op, Türkkent and Yeşilkent’s manager, Kenan, for welcoming them to such an exemplar project.